Zakynthos is the third in size island of the Ionian Islands and features stunning beaches. On the peninsula of the Royal stand out the beach in Argasi, kaminia, Sekania, Dafni and sandy beaches surrounded by Cedars, Porto Zoro, Ionio or Banana, Agios Nikolaos, most remote and remarkable Beach, Porto Roma beach. the Bay of Laganas, stretches the vast beach of Laganas on the dunes and shallow waters, one of the busiest on the islandWhile in the Bay there are three uninhabited islands with deserted beaches, Skerry of Peloyzo, Agios sostis, where access is on foot from the bridge that was built there, and the Marathonisi Island, accessed by boat. 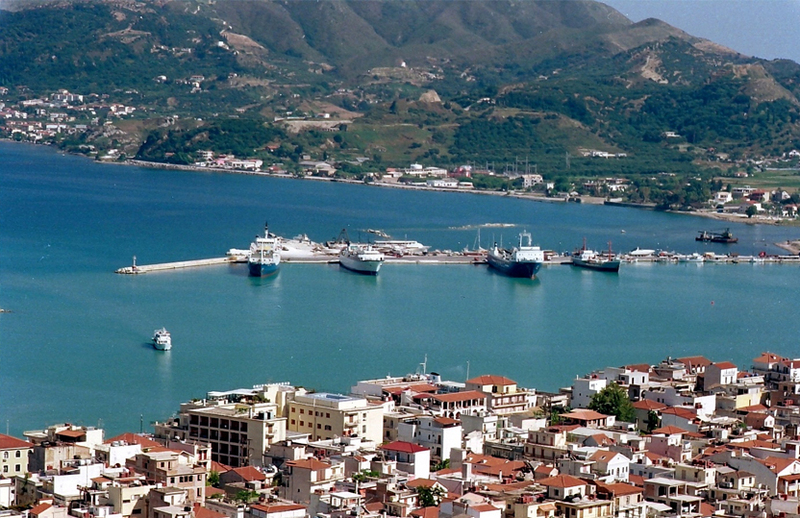 The KTEL Zakynthos island is located near the Harbour and is well organized. The areas in which you can go by bus from the capital's main street, Royal, Porto-Roma, Wax, Salt Lake, ' Agios Nikolaos volimes, Laganas, Tsilivi, Alikanás, blister and others. The phone's KTEL of Zakynthos 26950-23776 is. From the harbour you'll easily and served with taxis (Tel. 26950-22280). Δaily and all year round departing ships of Ionian Ferries Killini port. For information for arrivals and departures to Harbor contact phone port 26950 28117 – and 28118. Air Champion24 .com offers ferries to and from Zakynthos on all services performed from any port of Greece. You can easily search and choose your ferry route that it serves, easily and instantly. The booking takes place in real time using your credit card or by making a booking with the help of the staff of our Office.